You start from the very bottom and have to climb up, with few gold coins you've earned with wood chopping, no clean warm clothes, not a single friendly face around you, no weapons but a woodcutting axe and a few vegetables in your sack. Also with you, you have a tome to inspire courage, the last gift your father left for you in these dark times. The main quest is disabled. Your map is completely empty. 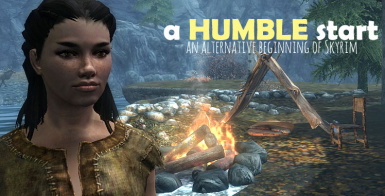 You know nothing about the Helgen dragon incident. 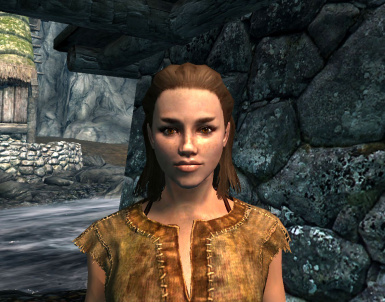 You know nothing about your dragonborn heritage. - choose to play daughter or son, Hannah or Ronan or use "showracemenu" to create your own character! 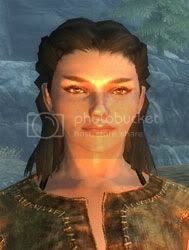 After the murder of your father, who was an Imperial noble fighting for the truth about the Thalmor conspiracy on the lands of Skyrim, you became a refugee for your life. You fled to Skyrim, the land your Breton mother called home. In the stealth of the night, guided by the remaining loyal men of your father, you took a caravan to Windhelm to join the Stormcloak rebellion. But the road from the Imperial city is dangerous and wild. One hour north-east of the fort Neugrad your carriage got ambushed. Your guards gave their lives to defend you against the group of mountain bandits. In the moments of panic, you lost the control of the horses and the carriage grazed over the mountain cliffs. Several days passed before you finally woke up, with broken bones in the tent of a lonely hunter. He found you and saved your life. Your recovery was long and painful, and cost you the perfection of the skills you knew. At the age of 17, you are born again. You are free to go wherever the road and your youth takes you. Good luck! - More Freckles by Zhoken - you need "Cute freckles"
- Coverwomen by mrLenski for Breton "femalehead_msn". Open the console and type "setstage MQ102 30". 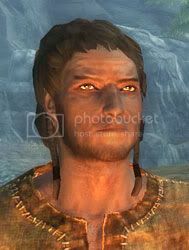 Tho, I gotta warn you, I have no idea what happens with Helgen. Never went there. - mod inspired by StannieDum's "An alternative Reality"